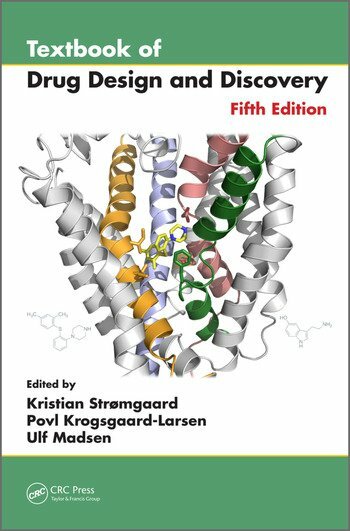 Kristian Strømgaard is a professor of chemical biology in the Department of Drug Design and Pharmacology, Faculty of Health and Medical Sciences, at the University of Copenhagen and a director of the Center for Biopharmaceuticals, Copenhagen, Denmark. He received his master’s degree in chemical research from the Department of Chemistry at the University College London under the supervision of Professor C. Robin Ganellin. In 1999, he received his PhD in medicinal chemistry from the Royal Danish School of Pharmacy (now School of Pharmaceutical Sciences). Subsequently, Dr. Strømgaard carried out his postdoctoral studies with Professor Koji Nakanishi in the Department of Chemistry at Columbia University. During this period, his main focus was on medicinal chemistry studies of neuroactive natural products, with a particular emphasis on polyamine toxins and ginkgolides. In 2002, he returned to the Faculty of Pharmaceutical Sciences as an assistant professor and became an associate professor in 2004 and a professor in 2006. He is currently heading the Center for Biopharmaceuticals, which is an interdisciplinary center focusing on protein medicinal chemistry. The Strømgaard lab explores membrane-bound proteins and their downstream signaling proteins using a combination of chemical and biological approaches. In addition, Dr. Strømgaard is cofounder of a biotech company, Avilex Pharma, which explores peptidebased inhibitors of protein–protein interactions as a novel treatment for stroke. Povl Krogsgaard-Larsen is a professor of medicinal chemistry in the Department of Drug Design and Pharmacology, Faculty of Health and Medical Sciences, at the University of Copenhagen, Copenhagen, Denmark. In 1970, he received his PhD in natural product chemistry from the former Royal Danish School of Pharmacy. As an associate professor, he established a research program focusing on the conversion of naturally occurring toxins into specific pharmacological tools and therapeutic agents. Key lead structures in this research program were the Amanita muscaria constituents, muscimol and ibotenic acid, and the Areca nut alkaloid, arecoline, all of which interact nonselectively with GABA, glutamate, and muscarinic receptors, respectively. The redesign of muscimol resulted in a variety of specific GABA agonists, notably THIP and isoguvacine, and specific GABA uptake inhibitors, including nipecotic acid and guvacine. Ibotenic acid was converted into a broad range of subtype-selective glutamate receptor agonists, including AMPA, from which the AMPA receptor subgroup was named. Arecoline was redesigned to provide a variety of subtypeselective muscarinic agonists and antagonists. Whereas nipecotic acid was subsequently developed into the antiepileptic agent tiagabine, THIP is currently used in advanced clinical trials. In 1980, Dr. Krogsgaard-Larsen received his DSc. He has published nearly 460 scientific papers and edited a number of books, and during the period 1998–2013, he was editor of the Journal of Medicinal Chemistry. He has been awarded honorary doctorates at the universities of Strasbourg (1992), Uppsala (2000), and Milan (2008), apart from receiving numerous other scientific awards and prizes. He is a member of a number of academies, including the Royal Danish Academy of Sciences and Letters. In 2002, he founded the Drug Research Academy as an academic/industrial research training center. He is currently chairman of the Brain Prize Foundation under the Lundbeck Foundation, member of the board of the Lundbeck Foundation, and deputy chairman of the Benzon Foundation. During the period 2003–2011, he was chairman of the Carlsberg Foundation.